To cultivate senior applied Stomatology talents with strong hands-on skills, entrepreneurial ability, and strong ability to develop. To cultivate Doctors for diagnosis and treatment of stomatological disease. A total of 3,541 graduates of our school graduate in 2012, of which a total of 42 graduates of doctoral students, graduate students were 883 (including 27 foreign students, Hong Kong, Macao and Taiwan regions student 4), a total of 191 seven-year Accelerated Degree Graduation students, 2425 of undergraduate and the specialist graduates (including 825 Zhongshan College graduates). There are more than 90 graduates from the Stomatology employed by hospital in different provinces. Note: you should buy beddings yourself or pay RMB600 to hostel. 5. 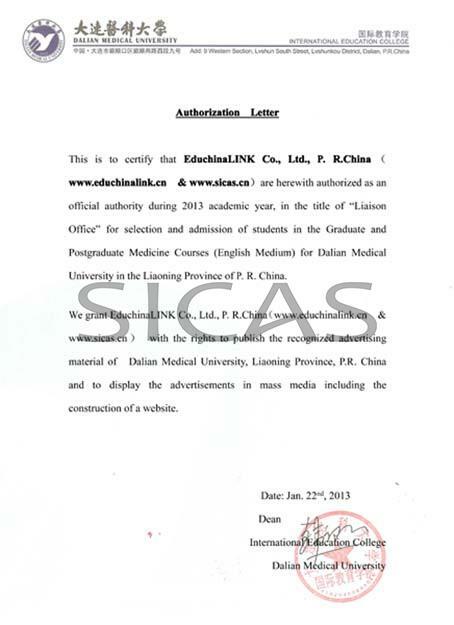 Has solid financial support to afford the study and living expenses in China. *Note: Chemistry, Physics, Biology and English are compulsory subjects, Mathematics is a reference subject for admission evaluation.